Has the U.S. Declared (Cyber) War on Iran? "The Pentagon has acknowledged recently China is the biggest source of cyber attacks against this country, including stealing our military secrets," I asked Defense Secretary Leon Panetta in our THIS WEEK interview Sunday. "Newt Gingrich spoke about this threat on the campaign trail often. 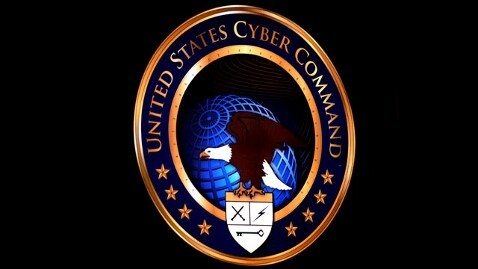 He said cyber attacks, cyber spying, are quote, 'acts of war.' Do you agree? Are they acts of war, and how would the United States respond?" Said Panetta: "Well, there's no question that if a cyber attack, you know, crippled our power grid in this country, took down our financial systems, took down our government systems, that that would constitute an act of war." The comment takes on added resonance given the scoop in David Sanger's new book, "Confront and Conceal: Obama's Secret Wars and Surprising Use of American Power," to be published by Crown on Tuesday and excerpted in today's New York Times. "From his first months in office, President Obama secretly ordered increasingly sophisticated attacks on the computer systems that run Iran's main nuclear enrichment facilities, significantly expanding America's first sustained use of cyber-weapons, according to participants in the program," Sanger reports. Asked about the story today, White House deputy press secretary John Earnest said, "I've read the story you're referring to…and I'm not able to comment on any of the specifics or details in the story." Sanger describes the U.S. and Israeli efforts to undermine and sabotage the Iranian nuclear program with the computer worm "Stuxnet" and another, which "temporarily took out nearly 1,000 of the 5,000 centrifuges Iran had spinning at the time to purify uranium…. Internal Obama administration estimates say the effort was set back by 18 months to two years, but some experts inside and outside the government are more skeptical, noting that Iran's enrichment levels have steadily recovered, giving the country enough fuel today for five or more weapons, with additional enrichment." The Obama administration has only recently admitted using cyber-warfare, and then only regarding al Qaeda.